Why Do Rice Complete The Cycle Of A Healthy Diet? Today, we are going to discuss rice as an option for maintaining health & fitness of an individual. The health depends upon the nutrition value of a particular item. Therefore, starting off with the nutritional details of Super Kernel Basmati Rice, is an ideal beginning to this article. Rice is the staple to most of the world’s human population, especially in the Asian countries, according to Wikipedia. Talking about white rice is only fair because most of us are familiar with them on account of being more common. They are 90 percent carbohydrate, 8 percent protein, and only 2 percent fat. Plenty of carbohydrates mean you get loads of energy with a cup of rice. Have you ever ordered fresh fruits and vegetables online? If you haven’t, you are missing out because online grocery stores like Selly.pk are shining brightly on the Internet canvas. They are offering export quality products as they have zero tolerance to low or adulterated versions of food items. Since we are living in the Southeast Asian demographic, we must be proud of the fact that Pakistan carries one of the best varieties of rice in the world. We produce the finest quality of rice by the banks of the river Ravi, Jhelum, and Chenab in the extremely fertile region of the Punjab province. Super Kernel Basmati Rice is an export quality of basmati rice produced in Pakistan but most of it is sent to other countries and what we are left with are the low-quality versions. The time has come to prioritize our health and choose those products that are in the best interest of our health. The fact charts say awful things about the food situation in the country. Food adulteration is not something to be taken lightly. It is affecting the health of the masses without ringing any bells and silently destroying us. Price of Super Kernel Basmati Rice may differ according to the quality but it is usually on the higher side. There are two versions of rice: white and brown rice. Brown basmati rice is richer in nutrients with the germ and the bran still intact. White rice, on the other hand, is lighter on your system and very easy to digest. The basic difference between the two is the nutrition value. Brown basmati rice is the unpolished version with higher nutrition value and more health benefits. While the white rice is whiter in color and lacks those key ingredients helpful in uplifting a person’s health. Therefore, brown rice comes highly recommended if you are a sports person or a person who wants more out of their rice meals than just fiber and carbs. Brown rice price in Lahore may give you the goosebumps but it is the real prize of the effort you spend on earning a living. Where Do We Find An Undoctored Version Of Groceries? That’s a million dollar question, especially for the Pakistani audience as almost each one of us is a victim of food adulteration. However, as long as we have online grocery stores like Selly.pk, we have a big window of hope open for us. Online grocery shopping is no less than a delight when it comes to stores like Selly because their products leave a lasting impact on your taste buds and sense of smell. Super Kernel Basmati Rice is one true example of such products. We still have lots of hope because most rice companies in Pakistan support the idea of “Adulteration-free Pakistan”, and in total agreement with the motto of Selly.pk. But agreeing and practically implementing methods to make Pakistan a healthier place are two different things. Selly is at war with food adulteration and that is the bottom line as well. The commitment to quality and purity of products is what we need at this time of despair in terms of the food situation. 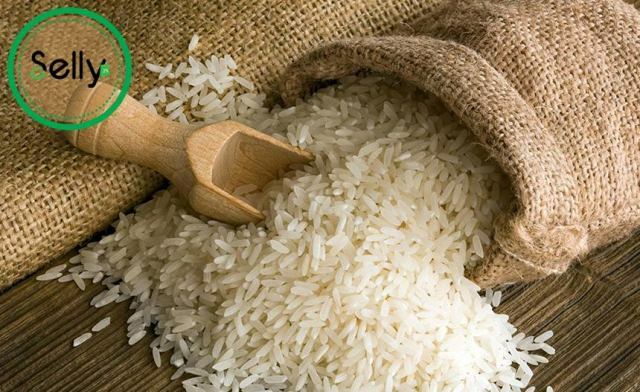 Rice companies in Pakistan must educate the general public about the various types of rice available as it helps to know the different qualities of rice. Selly.pk is not only declaring a war against food adulteration but it is also trying to steer Pakistan in the right direction where we are strong as a nation. Brown rice proves to be a mighty force in tackling heart disease. Doctors usually don’t recommend white rice to diabetics; however, brown rice has a low Glycemic Index (GI) and thus can be an option for people with Type 2 diabetes. Brown rice also contains fiber that helps in regulating the bowel movements. If you stay constipated it’s time have them. By ordering fresh fruits and vegetables online, you save a lot of time and avoid the stress of traveling on the busy roads of Lahore. Online outlets like Selly.pk are a breath of fresh air because their fruits & vegetables are a symbol of quality and freshness. Moreover, it is an added advantage of shopping here that you get everything you need in the kitchen to cook meals, make healthy desserts, and snacks. Get export quality spices, lentils, pulses like ‘Desi Masar’, at a good price with a facility of FREE home delivery. My routine is to order every 2 weeks. This way my groceries stay fresh and I have plenty of food to spend the next 14 days.